Summary: Four new factions, new units and buildings, balancing. There are four new factions, so ten total: Eldar, Rohan/Dale, Harad/Easterlings, Dunland-Wildmen/wolves/dragons are new. 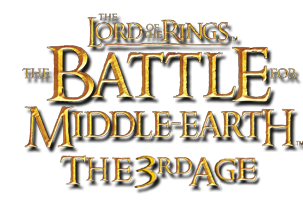 All factions except goblins and Isengard have significant changes. All factions are fully playable in skirmish, but the new ones don't have ai, and I've added only Rohan to war of the ring, and not completely. Rohan and Dunland have new spellbooks, with some new powers: whirlwind, wildfire, and summon 3 heroes. There are 10 new heroes: Imrahil, Halbarad, Wulf, Bard, Dunland, Harad, and Khand chiefs, Assassin, and 2 sons of elrond. Hobbit heroes are buildable. Some Create a Hero powers have been changed and some added. There are over 20 new units buildable, and as many new structures. Significant rebalancing has been done, especially strengthening defensive buildings.